I think the psychological trap is a tough one. Once Freud introduced his psychological structuralism there have been many benefits and many problems arising from it. First, I reject your assertion that philosopher’s have failed to “prove” there are others. If you want to live in a solipsistic world, you can but your philosophy is pretty limiting. Nevertheless, the real point, the second one, is actually a problem for post modernity. “How do we get out of our heads? Nevertheless, for the sake of argument, let’s say you are right and there is nothing but what is in your head. (And I mean you as in the figurative way, not you Ted) How impressive is your mental universe? What are you doing with it? Are you lazy? Undisciplined? Poor at making your Will manifest? If it is all in your head, can you change the world with your thought immediately? If you can’t, how good is your magick? If it is all in your head, and you can’t always change the world with your thought, are you that undisciplined in your mind? Your point restatement of Crowley, “just assume it is an external being” has its merits. Why? Because it puts the magician in a position of having to respond to the situation instead of just dismissing it as mind games. Within a Thelemic context, it is practice that matters and practice has to be objective. 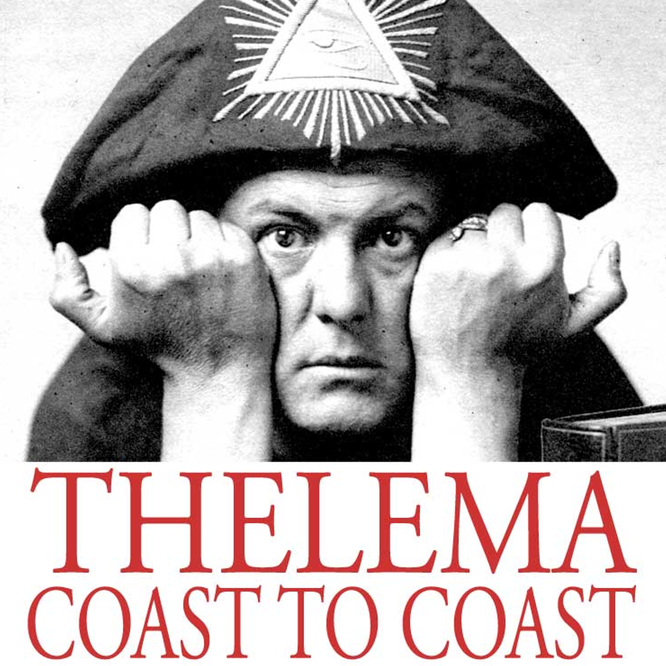 In the bigger scheme an important question is, Will doing Goetic work get you closer to finding and doing your Will? Maybe. That is an answer I cannot give. There is only one way to know, do the work. Your experience is ultimately the best way to access the “truth.” As you say, it is the scientific approach. Thanks for the feedback. I hope you continue to enjoy the program. I’m writing to comment on Ted’s very interesting uptake of Dave Rankine’s comments on the issue of the validity of the Goetic forms as formal entities. Dave’s comments echo Stephen Skinner (his co-author), but Skinner has ventured further than this in his own interview in a recent TCTC (episode 35) with John Crow - describing Goetic Forces as Entities/spiritual Creatures with a discrete existence as opposed to psychological projections. Ted is quite right to state”all we ever have experience of is our own psychology” quoting Crowley’s advice in MWT to deal with the entity as if it were an objective force. Our existential environment is, as Robert Anton Wilson has pointed out, a consensus of perception. As Steven Pinker has pointed out in his polemic but brilliant ‘The Blank Slate’, the physical mechanics of perception (brain structures) play an important role in our intellectual cognition. Now, Skinner and Rankin have done some great work on their Golen Horde series of works. The Goetia of Dr Rudd seems to have been presented in accord with Eliphas Levi’s injunction(see Elements of the Qabalah) that the Goetia should only be reproduced alongside the 72 Shemhamphorash Angels. The authors scholarship should be congratulated. 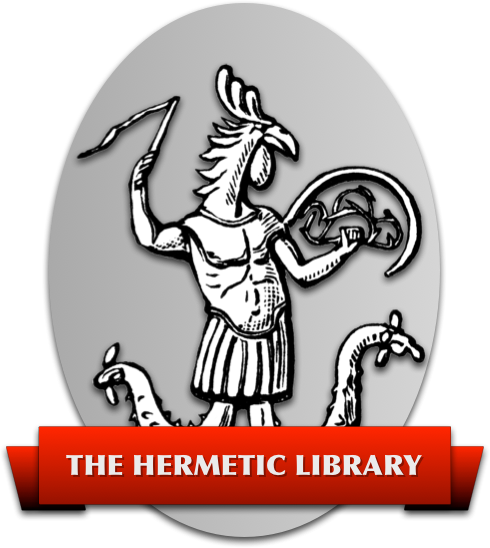 However, when commenting upon areas such as psychology and philosophy it would seem that the intellectual focus goes out of the window as it seems to do all too commonly with those interested in esoteric development and Western Hermetica. I truly wonder if those interested in evocation and the raising of elmentals, etc have stopped for a minute (even) in consideration of exactly how we do perceive the world around us and the ‘entities’ of space-time with which we interact? After all, the art of evocation requires the manifestation of energy matrices to a degree sufficient to register upon our sensory perception. The model of reality which we construct from our sensory input simply has to be dependent upon the qualities of the receptive tools employed in the gathering of the information about the world that our cognitive and computational abilities then process into meaningful data. What is the purpose of fasting, eating only pure foods or drinking spring water, etc, prior to a rite of invocation if not to purify our quality of cognition? I would suggest, that so endemic are impurities within the food chain nowadays that it is near impossible to achieve the levels of dietary purity insisted upon by many of the grimoires. I choose to eat Organic food only and - as a personal sacrament - ingest Gingko Biloba daily to purify my brain’s minor capilaries. But how many occultists are aware enough to begin work ‘at home’ (within the Self) before commencing upon operations of magic that should scare anyone perceptive enough to not agree with ‘at home’ surgery using kitchen implements and medical manuals two or three centuries out of date? The image is shaped by the quality of the lens (to borrow a metaphor from the art of photograpic astronomy). we should not only polish the lens, but we should pay attention to the perceptual distortions which are the consequence of the physical make up of the object through which the event is witnessed. Since the 17th Century, astronlomical lensmen from Bradley to Fraunhofer struggled to cope with the clear manifestation of the light from stars through their telescopes, realising that the obstacles of geo-motion, atmospheric distortion and kinks within the design of the chromatic lens were all distorting true perception of the object of study. Why is it so difficult for so many occultists to perceive that the human condition is similarly plagued with perceptual distractions caused by anomolies in the design of our cognitive functions - and that this requires that work upon the instrumentation (the Self) be taken into consideration in the deliberation of results? Simply because cognition and representation has some part to play in all our dealings with our dealings with all beings of space-time does not imply that it accounts for 100 percent of that experience. As John points out, Reality is not all ‘in the head’. Skinner & Rankine are of course right to deny the existence of Goetic entities as purely psychological projections, but fail to account for the validity of the notion that at least some part of the experience must be psychological - simply because that experience is the residue of sensory cognition.. I think we also have to look at psychological discoveries of more recent history than the speculative Jung or the insightful (but strange) Wilhelm Reich. The great occultists of the past have all demonstrated their familiarity with contemporary discoveries and observations within the Sciences. This aspect of the tradition should not be cast aside now.